The Fullerton Hotel's Jade Restaurant has launched a new menu which celebrates traditional Cantonese cuisine from the 1960s to the 1980s. Called the SG50 Nostalgic Feast Menu, it is a tribute to Singapore's golden jubilee and is co-curated by Jade Restaurant's master chef Leong Chee Yeng and The Straits Times' food critic Wong Ah Yoke. The menu features 18 a la carte items, such as Chinese Eight Treasures Duck ($90) and Kung Pao Chicken with Cashew Nuts served in Buddha's Bowl ($32); and set-dinner menus at $85++ a person with a minimum order for two people, and $125++ a person with a minimum order for six people. Chef Leong says inspiration for the menu came from the expression "tao hui gu zao wei", which means to capture classic favourites. His aim was to create a menu which sees the return of long-forgotten Cantonese dishes, hopefully triggering old memories through familiar tastes and flavours. The 48-year-old chef, a Singapore permanent resident, says: "Although I grew up in Malaysia, I've lived and worked in Singapore for many years and consider this my second home. The menu I created is my way of expressing appreciation for this country." Mr Wong, 54, says they looked at dishes which were part of restaurant menus from the early years of Singapore's independence. The dishes he selected were those he used to eat growing up in the 1960s and 1970s, but are rarely found on restaurant menus these days because they are time-consuming to make or because the dishes simply "fell out of favour as modern variations took their place". An example of a time-consuming dish to prepare is the double-boiled winter melon soup, or winter melon pond. He says: "The soup was double-boiled in a whole melon and interesting designs would be carved on the melon skin. This required skill and time. "The chef had to be careful to steam it just long enough to get the melon soft but not so soft that it would break." He says the older generation may also remember har lok, or pan-fried king prawns in a ketchup sauce, which was always served at Chinese banquets in the old days. With the launch of the menu, chef Leong will also host his first personal art exhibition, Ceramics Indulgence, from June 4 to 29 at The Fullerton Heritage Gallery. The exhibition will showcase more than 30 handcrafted traditional and contemporary ceramic pieces. As part of ST170 Treats, a year-long campaign to mark The Straits Times' 170th anniversary, there will be 15 free 10-course meals for two up for grabs, with each meal set worth about $276++. For a chance to win a free dinner, go to 1845.straitstimes.com from today until June 18, answer a multiple-choice question and submit your personal details. The selected winners will get to dine at Jade Restaurant on June 29 at 7pm. 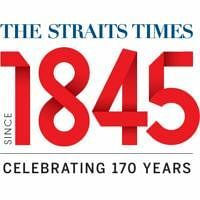 Readers of The Straits Times can also get a 15 per cent discount off the menu when they present a print copy of The Straits Times at the restaurant. The Nostalgic Feast Menu is available from now to July 31. For reservations, call 6877-8188.